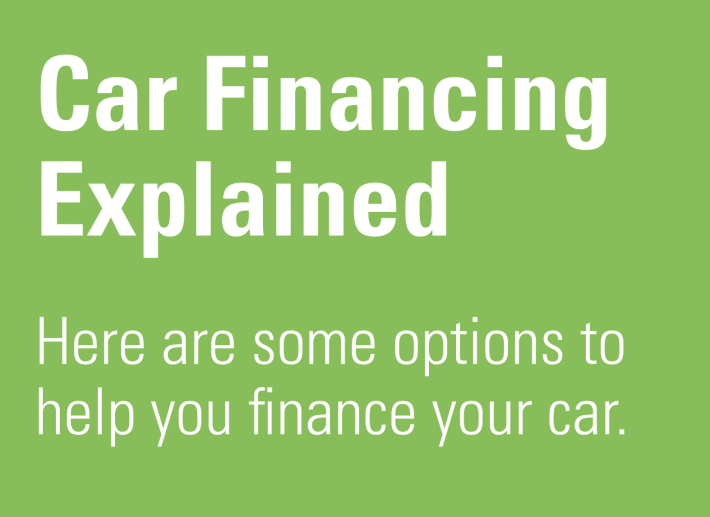 Car Financing Explained - What Are the Options? Car Financing Explained – What Are the Options? When it comes to buying a new car, there are many different ways to actually make that big purchase rather than just saving up. In the infographic below you can see various different methods of car financing from HSBC that are worth considering. In the UK, Personal Contract Finance is one of the most popular, with many car brands making over 70% of new car sales using this method. However, there are many other options available: these include hire purchase, personal leasing or personal loans. Each method has its own advantages, of course, and below we aim to explain them all. Personal Contract Finance is probably your best bet if you’re intending to change your car over the years. This method first involves paying a deposit, and then monthly payments for a fixed period – just as you’d pay for a contract phone. At the end of the period you can either give the car back, pay a lump sum to buy it outright, or start a new contract to get a different car. The good thing with PCF (or PCP for Personal Contract Purchase) is that you can potentially use it to get a more upmarket car. Hankering for a Mercedes or an Audi? Personal Contract Financing might be your ticket to getting one. Hiring a car can be a cheaper option if you can’t afford to shell out thousands at once for a new vehicle. This also eradicates the need to pay a big lump sum at the end of the contract. After you pay a deposit, you’ll pay off the vehicle and any interest accumulated in increments. Just like paying a mortgage – at the end of the contract you’ll own the car. Personal leasing is the car financing equivalent to renting a house. You won’t keep the vehicle at the end of the contract, and you’ll have to pay some rental fees and a monthly contract sum. The only downside of personal leasing is that these costs might be a little higher than other methods; however, you will get some goodies thrown in. You could get non-fuel running costs like road tax or servicing included in your package. Personal loans, on the other hand, give you yet another option for financing your car. You’ll spread out the cost of the vehicle by taking out a personal loan. This means you own the car from the start – you’ll just pay the loan back in stages. HSBC offer a loan calculator service at their website, and have a lot of different options if you’re thinking of taking out a personal loan – you can check them out here. Taking out a loan can be cheaper than the other car financing options, so it’s something you should definitely consider. You can take a look at HSBC’s car financing page here for some more tips and handy guides.